Maserati has been on our shores for the past ten years, gifting us with its Trident automobiles thanks to the help of Naza Italia. This has allowed the Italian automaker to establish itself as one of the leaders in the luxury automobile market. The pinnacle of Maserati’s success in Malaysia stemmed from 2016 with the launch of the Maserati Levante, touted as the ‘Maserati of SUVs’. 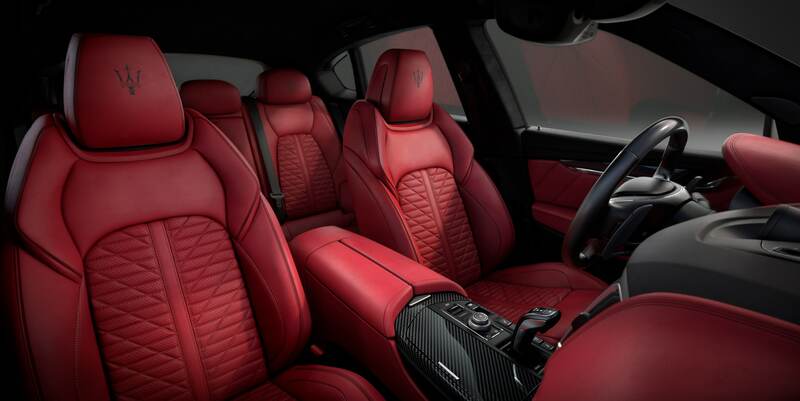 The brand has since taken things a step further with the introduction of an ultra-limited edition of the Maserati Levante Vulcano. What makes it so rare is its availability of only 150 units worldwide. The cherry on the cake is that there will only be 10 Levante Vulcanos up for grabs in Malaysia. This coincides with the brand’s 10th year anniversary in Malaysia alongside Naza Italia. 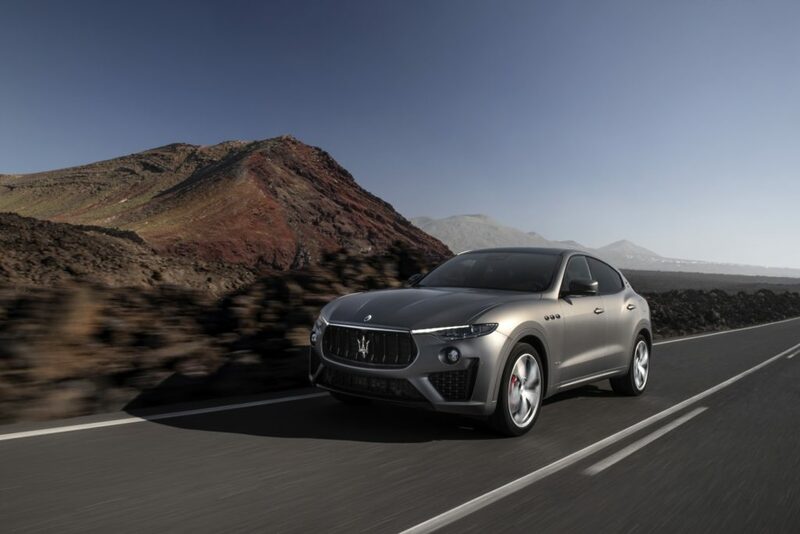 This limited edition SUV carries a similar design language to the standard Maserati Levante but with an added inclusion of the GranSport package for the exterior. This includes a Trofeo-esque front bumper which was introduced earlier this year. The Levante Vulcano is wrapped in an exclusive matte “Grigio Lava” grey and is comes complete with the Nerissimo pack. The appearance pack for the Levante Vulcano introduces dark rear lights, glossy black window surrounds, burnished tailpipes, body-coloured door handles, as well as a black chrome finish on the front grille and logo. To top off, there are also 21-inch Helios wheels with a matte finish and red brake calipers to boot. 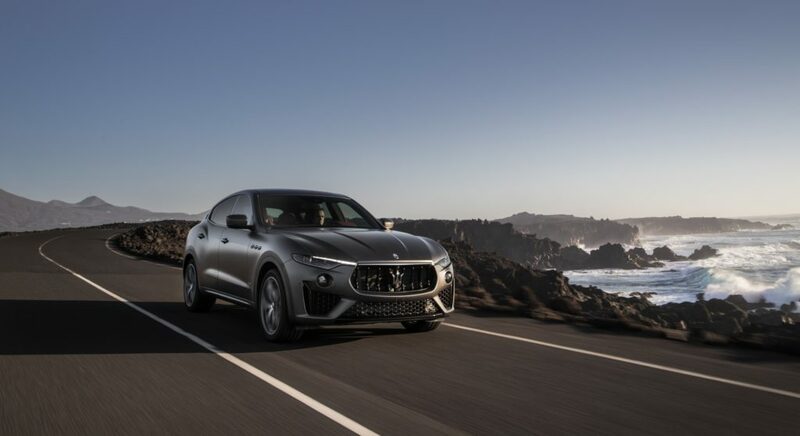 Maserati ensures that its luxury SUVs have the performance to match its appearance, and that rings true with the Levante Vulcano. At its core lies a twin-turbocharged V6 engine with a total output of 430hp and 580Nm of torque. The engine is designed by Maserati Powertrain and is built at the Ferrari plant in Maranello, Italy. The car is able to hit a top speed of 264kph while also doing a century sprint in 5.2 seconds. 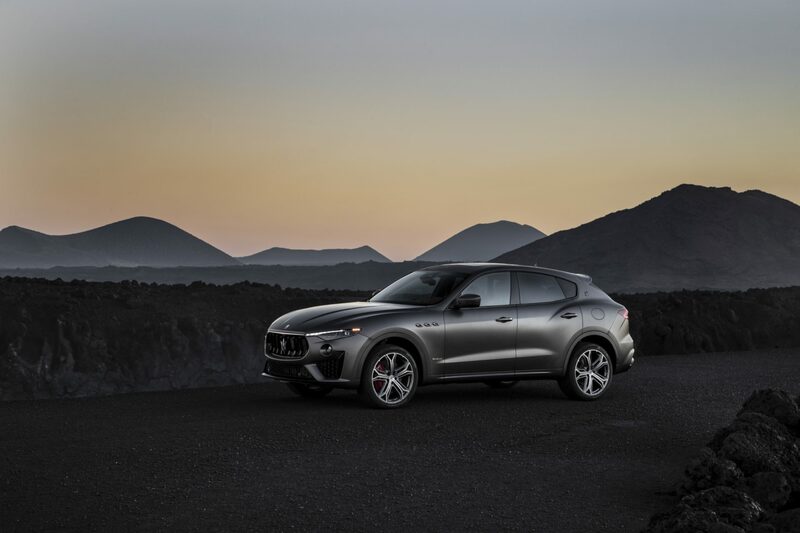 Once you step inside, the Levante Vulcano embodies the term ‘sporty elegance’. There are fully heated and ventilated Pieno Fiore leather seats, complete with electrical adjustments with memories as well as a contrasting embroidered Trident logo on the headrest. The centre console will be the pride and joy of any owner, thanks to the words “X of 150” printed, depending on which of the 150 models you’re able to snag. 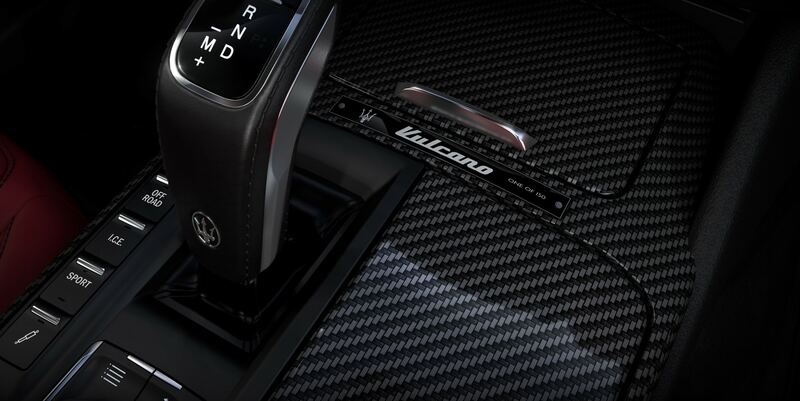 Every inch of the Levante Vulcano features a high gloss carbon fibre trim, which is also on the gearshift paddles as well as the electrically-adjustable sports steering wheel. For all your music needs, Bowers&Wilkins is the brand of choice for the premium sound system. At only RM838,800, the limited edition Levante Vulcano can be yours. Best be quick as only 10 are available in Malaysia.